Am I allowed to call it "hacking"? Start the game going to Universal Paperlip. It is not important to have a blank site of the game, you can also use your current state. 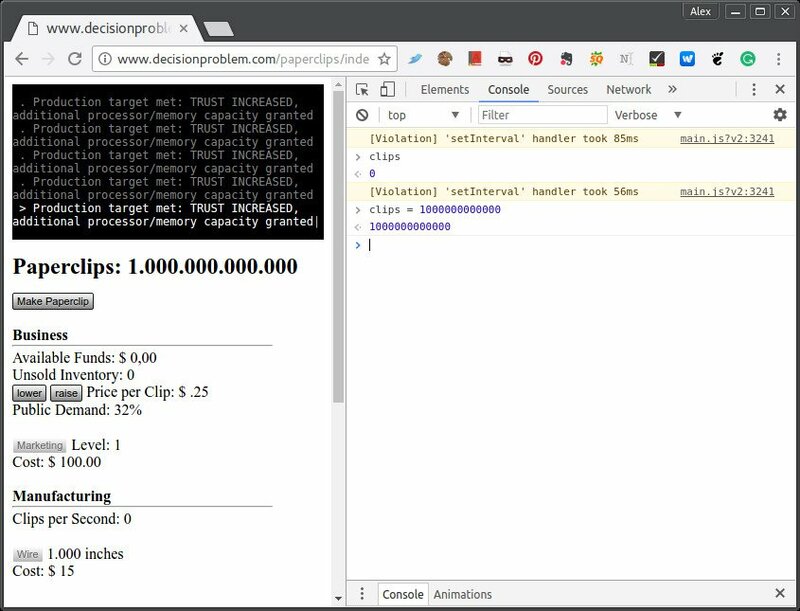 Now use the "Inspect" tool from the development tools to identify the properties of your "victim" value. 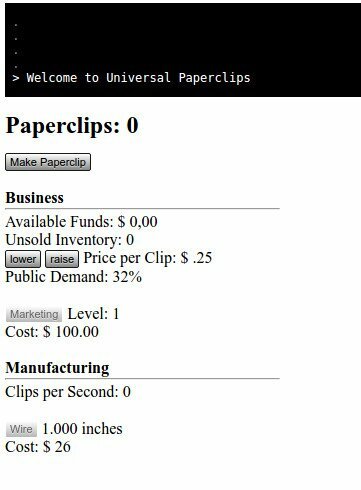 In my example I choose the amount of the paperclips we have already produced, the value is not very useful in the game but it is very good for the demonstration. Here comes the hack. Open the console tab in the development tools type in the name of the variable and hit enter. You should now see the current value of the variable if you now type in variable name equals and a value, you can modify the value. Now as you know how to modify all the values the game will be boring, you can forget it and do some productive stuff. Have fun! I've received multiple requests on how to restart universal paperclips. 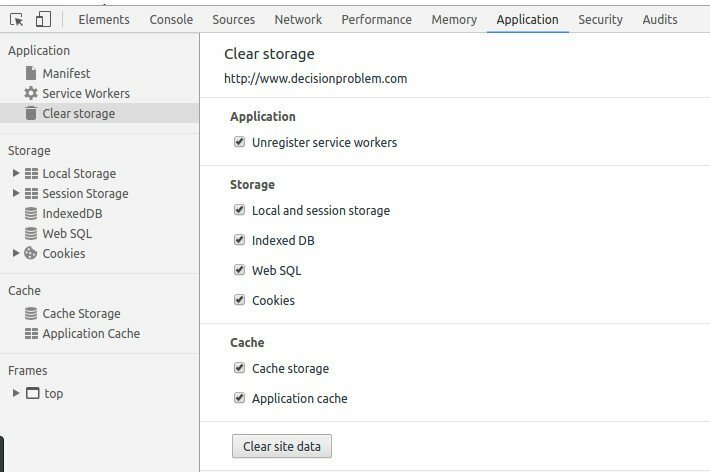 You have just to delete all local application data. Here is the guide for Chrome Browser. Are you motivated to unlock hidden functions and opportunities in games, programs, web application and want to learn more, there are a lot of free online cybersecurity trainings available. Check my article Hacking, top 5 free cyber security training sources for an overview of the best sources.